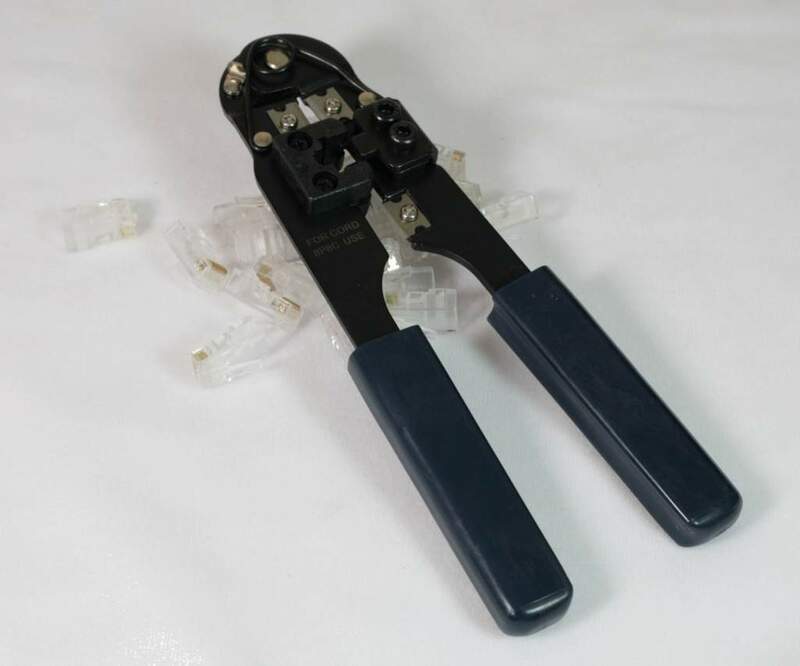 Network Cable Crimping tool used to crimp RJ-45 Cables excellent tool and works great with generic jacks. Low price makes it a must have for any technician. This Kit includes 20 RJ-45 Connectors and The Tool. Built in Wire Cutters to Straighten out wire before insertion in Crimp Connector.